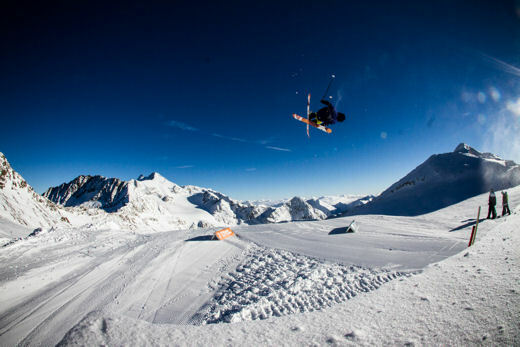 When your park skis aren’t mounted and you’re dying to hit one of Austria’s pres-season glacier parks, there’s only one thing for it… dust off the Lexington’s and get shredding? 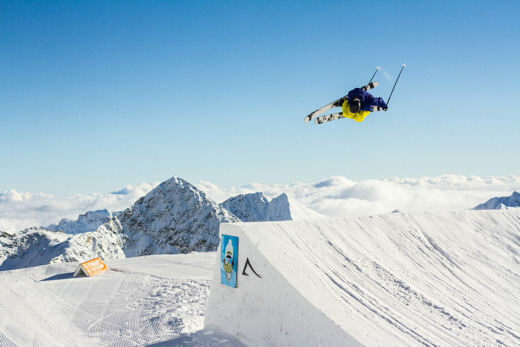 German Ambush rider Chris Graf is awarded the “Riskiest Way To Start Your Season Award” after taking his 130mm waisted pow weapons up to the Stubai Zoo in Austria’s Tirol region and launching off the pro-line. In Chris’s own words “It’s a good feeling to ride the Pow skis on the first day!”… Chris, we’ve called the men in white coats and they’re coming for you, it’s for your own safety. Photographer Flo Breitenberger was there to capture the madness.